I have pondered this now for several weeks, and it is not a simple answer. I do believe part of it is due to our education system, which is constituted of a majority of liberals, shaping and molding the minds of our youth to the acceptance and positives of socialism. Since the 1960's the Left has managed to work their way into the education system at every level and been able to rewrite our history and reshape our youth. By rewriting our past and devaluing our founding fathers they have cut the ties that bind us. This hasn't been an accident either. It has been a systematic assault on tearing down those historical heroes and our religious roots to precisely soften the people and open them up to be more easily persuaded in accepting the tenets of socialism. With very few parents carefully involved and monitoring the textbooks and assignments a generation of kids have been steadily indoctrinated with liberal thought. This leads me to my second reason. Society has been dumbed down over several years and common sense and critical thinking have been replaced with mere acceptance of what we are told. Society today would rather watch reality TV shows than educate themselves and stay involved in current events and politics. We have become a society that the majority of people only care about what is going on in their own life and have checked out on really being engaged in the country's well-being. My third reason is that our country has become more and more dependent on the government. When nearly half of our country receives some sort of government paycheck it makes it increasingly more difficult for people to give up their "free" money. So the groundwork is laid and people slowly become more accepting to the redistribution of wealth and big government. Why has socialism failed miserably throughout history? 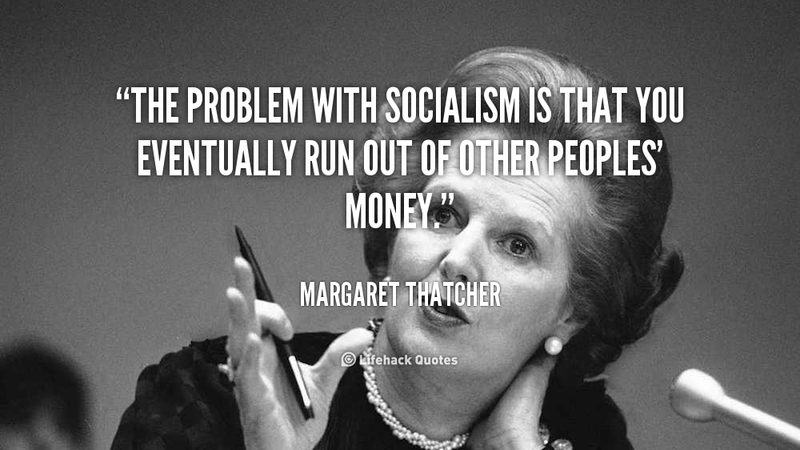 As Margaret Thatcher said, "Sooner or later, you run out of other people's money." As George Orwell stated in his book, Animal Farm, "All animals are equal, but some are more equal than others." In socialist countries, you find the ruling elite with all the excesses and money and the working proletariat with very little to survive. In theory, it sounds so enticing. Free education, free insurance, free this, free that. Unfortunately, nothing is free. We currently have a $21 trillion national debt. Bernie Sanders will tell you that taxing the rich and redistributing their wealth will be the answer. You can't increase prosperity by taxing success. What socialism does is it destroys the incentive to work and it stops people from being successful and pursuing their dreams. Socialism ultimately fails because it kills and destroys the human spirit. It is an ideology that ignores incentives. It is based on the theory that incentives don't matter and that is incredibly inconsistent with human nature. Why work hard if the government elites are going to take away most of your money and possesions. 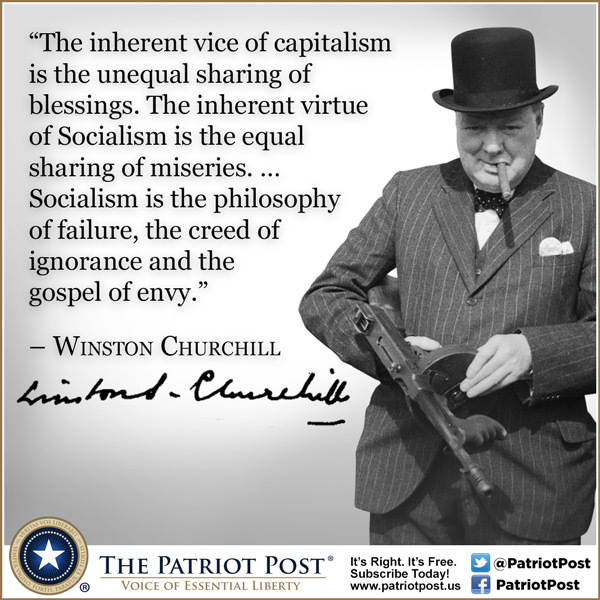 Socialism brings heartache and misery and should lay in history's graveyard of failed ideologies. Will the American people be wooed by this newest tease or will enough people realize that this dark winding road leads to inevitable doom?